Right now everyone is thinking about what to pot and contain in their garden, patio or porch areas. The weather has started to agree with warmer days and nights. Here is a list of shrubs that will bloom all year, making your garden full of flowers & stunning colors. If you can plan in advance of what you want for flowering shrubs you are assured that there will be much color, fragrance and beauty to look forward to. Surround your home, pot some of these shrubs for your patio or porch and keep the beauty around you. In Spring you will always see colorful azaleas. 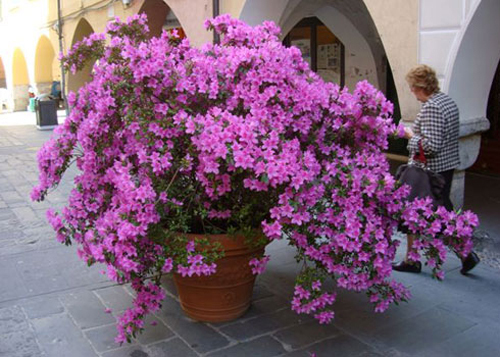 They come in dwarf sizes so you can easily pot them in your garden containers to have on the patio or porch. They come in every color and bloom best with lots of moisture, partial sun and rich, acidic soil. Plant them in cobalt blue garden planters with hot pink azalea flowers for a stunning burst of color. 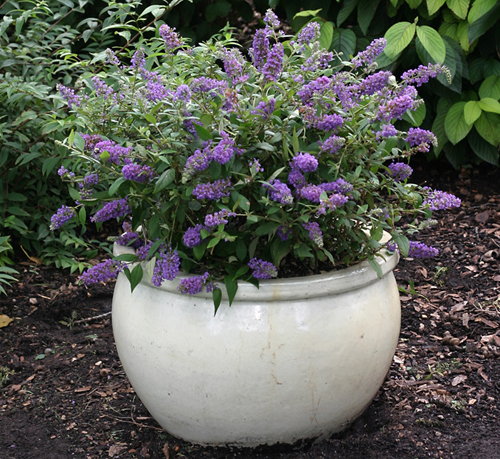 For Summer we recommend Butterfly Bush. It's spikes are full of white, purple, yellow, blue, or pink flowers. It doesn't mind the heat of summer or the drought that can happen. It starts to bloom in the middle of summer and can last until the first frost. Make sure you have large garden container so they have plenty of room to grow. As fall comes around you are trimming plants back to prep for winter but that doesn't mean your garden containers have to sit empty. 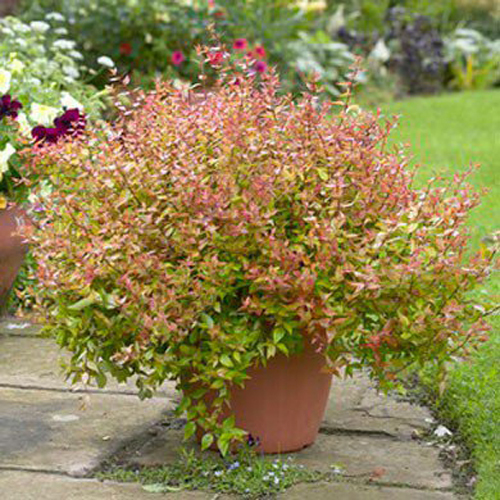 Plant up some Kaleidescope Abelia. This shrub is great because of its changing variegated foliage. It's colors include fall shades of gold and orange with evergreen leaves in flame shades. Possible white flowers bloom in late summer or early fall. Use large terracotta flower pots. The natural clay is the perfect compliment to this shrubs green and golds. 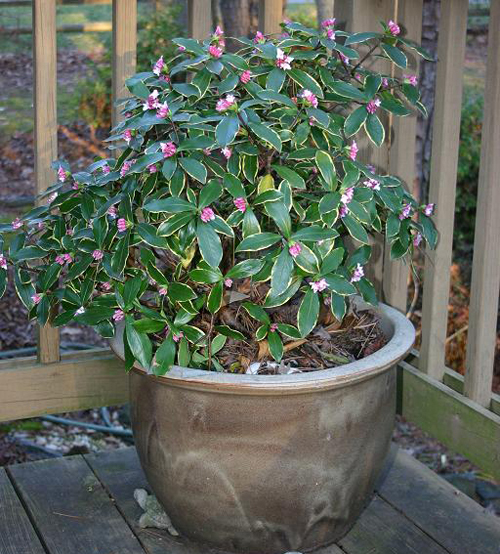 When you think of winters garden you don't think of blooming shrubs but we like the evergreen shrub with clusters of fragrant pink flowers call Daphne Odora. It bloom anytime during midwinter to early spring. Flowers are surrounded by shiny green leaves. It is easy to grow and the scent is heavenly. 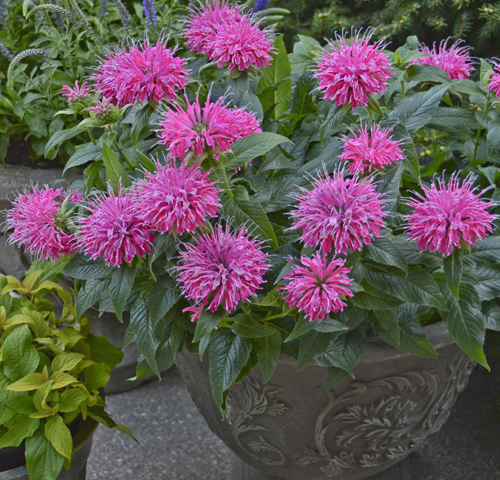 Because of it's pastel blooms we love this in a red high shine flower pot or garden container, the contrast is stunning. So don't just think of succulents & flowers in your garden pottery. Plan on planting a few flowering shrubs and you won't be disappointed.